I finally understand the appeal of those short anime skits that you see on Crunchyroll. My understanding is that in Japan they’re quick palate cleansers wedged in between longer shows being broadcast on TV, but I could never understand why someone would seek them out on a streaming service when longer and more narratively satisfying series are just a click away. However, they’re perfect for when you need a quick distraction, like when you’re in the subway and don’t have a consistent signal. I’ve been watching Miss Bernard Said in this way and it’s been pleasant enough. 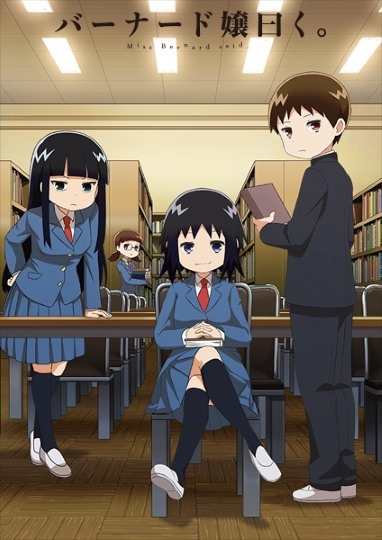 It helps that the show is about a high school book club where they mostly talk about science fiction and other genre books that I’ve already read. I suppose that’s the other part of the format’s appeal to me: watching it requires no great intellectual effort on my part. I just turn on, tune in, and drift away. It’s nice to watch something unchallenging every now and then. Previous PostPrevious What hath God wrought?